This week, we keep it local for the first of my three guests. NE Ohio urban planner Jim Sonnhalter joins me to talk about a project in his home suburb of Euclid, Ohio that will add a new trail to the Lake Front. Jim works for Cuyahoga County Planning and has helped to establish and begin implementing a master plan for biking and walking in the Cleveland area. We’ll talk about the Euclid project as well as the scope of the Cuyahoga Greenways projects. 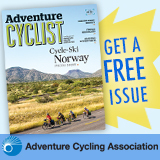 Then, it’s my annual pre-holiday gift chat with Bicycling features editor Gloria Liu. 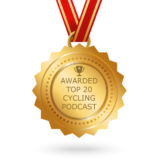 This year, we talk about a new “convertible jacket” from Pearl Izumi, a handlebar bag from North St. 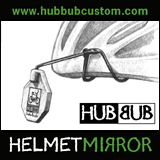 Bags in Portland, Oregon, some new light weight entries in the children’s bike market, and of course what’s hot in tech. 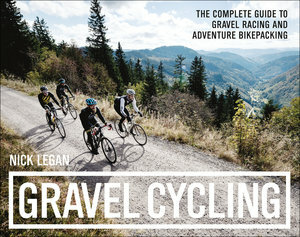 Finally, Nick Legan, author of the new Gravel Cycling: The Complete Guide to Gravel Racing and Adventure Bikepacking, joins me to talk about his book, his 7 years as a pro-tour mechanic, how gravel racing became his sport of choice, and more. Happy Thanksgiving everyone! Enjoy the show.